An excellent account of remarkable women. From number one New York Times best-selling author Eric Metaxas comes a brilliant and inspiring biography of the most influential man in modern history, Martin Luther, in time for the 500th anniversary of the Reformation. On All Hallow's Eve in 1517, a young monk named Martin Luther posted a document he hoped would spark an academic debate but that instead ignited a conflagration that would forever destroy the world he knew. Five hundred years after Luther's now famous 95 Theses appeared, Eric Metaxas, acclaimed biographer of the best-selling Bonhoeffer: Pastor, Martyr, Prophet, Spy and Amazing Grace: William Wilberforce and the Heroic Campaign to End Slavery, paints a startling portrait of the wild figure whose adamantine faith cracked the edifice of Western Christendom and dragged medieval Europe into the future. Written in riveting prose and impeccably researched, Martin Luther tells the searing tale of a humble man who, by bringing ugly truths to the highest seats of power, caused the explosion whose sound is still ringing in our ears. Luther's monumental faith and courage gave birth to the ideals of faith, virtue, and freedom that today lie at the heart of all modern life. 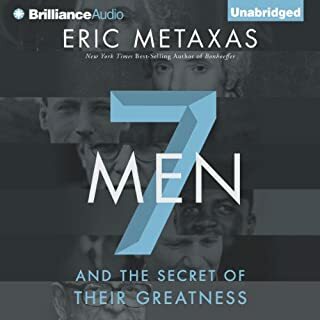 The brilliance of Eric Metaxas is that he makes legendary figures human and accessible, without in any way taking away from their greatness. This he did with Bonhoeffer and this he has done again with Luther. Having listened to both of these volumes I feel I know these 2 great ones, The text is riveting, and the historical analysis inspiring. I highly recommend this book to anyone who wants to get a good understanding of Luther and have a good read (or listen) at the same time. Thoroughly enjoyed this book. So very well researched and entertaining to boot. Tempted to start all over again. Mr. Metaxes hits a Grand Slam Homerun! His research, writing, and presentation all award winning in my book. 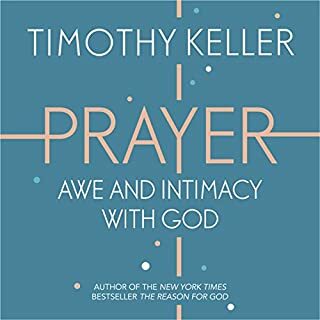 I loved reading (listening) to this book. 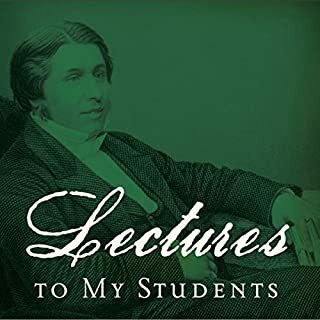 The irony is I spent five years in residence at Concordia Theological Seminary in Fort Wayne, Indiana and learned more about the Reformation from Mr. Metaxes in 22 hours of listening (reading) than I did at seminary. I rejoice that learning is unending. 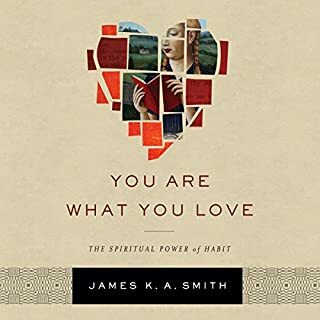 I will recommend this book to everyone I know. Thank you again Mr. Metaxes for writing and recording the book. To read Luther by Metaxas is to be simultaneously educated, enlightened, and entertained. So much to appreciate: dispelling the myths; recognizing the genius while refusing to shadow the faults; keeping Luther’s driving force (the just shall live by faith in the merits of Christ’s work) in the forefront while explaining the wider implications for Christendom and history. And Metaxas delivers all this and more in a captivating and witty prose. This is my best read in 2017. I have already have given away one copy. I suspect more will follow. Another great biography by Eric Metaxas! 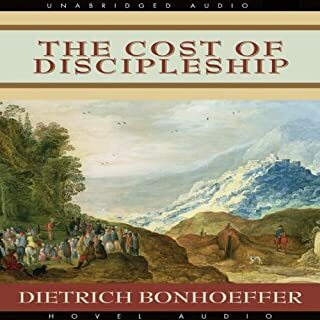 I thoroughly enjoyed his work on Bonhoeffer, but I thought it was a bit tedious in its detail. Luther is another very nice book, but it lacked some of the tedious details that were in Bonhoeffer. One reviewer has called this book a "fluff" piece since it did not address the anti Semitic writings Luther made in the later part of his life. However, that reviewer must not have read the book as it does address some of the inexplicable statements that Luther made as an old man. Metaxas offers no explanation, but calls them inexplicable since they went against the 99.9 percent of his other writings. One could call them the work of an elderly man struggling with dementia or the work of an elderly man struggling with a bad temper. It would all be conjecture that overlooks the 99.9% of his other work. 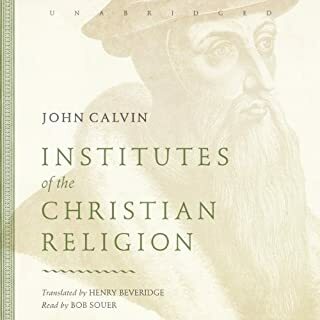 This book takes pains to bring to light so many things that we take for granted today like freedom of religion and democracy that were the results of Luther's movement. This book is not simply the re-telling of familiar events in Luther's life, it's meant to show the reader how Luther was the bridge Europe took to modern life. When one reads this book, one comes away from it realizing that Luther really did change the world. For the mere hilarious table-talks it is worth it..
Once started I couldn’t stop listening.. very detailed life of Martin Luther and his teachings.. I have found myself laughing on more than few occasions of his sayings about life and have also shared few tears on the sorrows of that life.. very well and exquisitely written.. as a Christian I have always had a dark spot on my history of how it all came to be.. and after listening to Foxes book of Martyrs, this is the next best thing.. while i do differ on some theological views mentioned in this book I however greatly appreciate the life and work of Marin Luther.. a must listen.. While I had known about the importance of Martin Luther to European History since High School, I had never really looked into his life, read any biographies or studied the theology behind the Reformation. 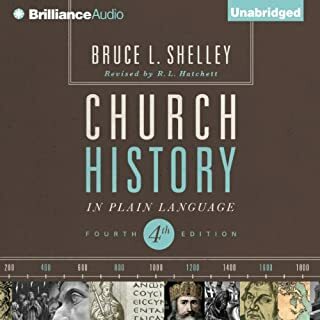 I knew him to be central to the entire Reformation era, even if he was not the first in that movement, but religious history was never one of my main interests when studying that period of time. However a short documentary on Martin Luther’s life that I saw on some streaming TV rekindled my interest in the period and I bought this biography to learn what I could. The biography astonished me, for several reasons. First, it was so well written that there were times that I just could not stop listening. I expect that in a well written thriller, but not in a biography. Mr Metaxas’ writing is so interesting, the material so riveting and his injection of humor so fresh that this book is a wonder, and is one of the best biographies I have ever read. Second, the book tries to clarify Martin Luther’s writings by explaining what he was trying to say and how it differed from the current Roman Catholic beliefs of the time. 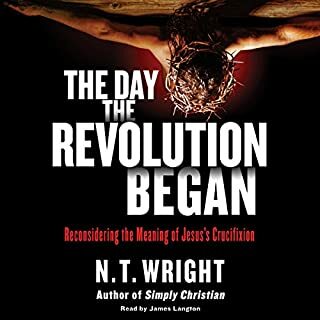 Thus I learned much that I did not know, not only about Martin Luther himself, but also about the theological differences between the Roman Catholic Church and the budding Protestant movement. Third, as the book makes perfectly clear, Martin Luther was a normal human being with all of the fragility and many of the faults of the rest of us. He was not presented as some Protestant saint and, although he was religious to his core, he lived and acted as most other people and his life was quite different from that of, say, Saint Francis of Assisi in that Luther lived in the real world after he left the Monastary. I believe that as good as the book is, there are some shortcoming. Luther’s attacks on the Jews that took part in his later life are largely glossed over. They are mentioned, but Mr Metaxas attributes them to Luther’s old age. Of course he was not that old, having died at the age of 62, and I think the book would be more complete with a closer look at what Luther wrote on the subject and a better explanation as to why someone who basically founded the idea of freedom of religious views could have resorted to such hate and invective, especially considering how tolerant the younger Luther was in this regard. Also Luther’s famous encounter with The Devil and the “ink pot” that he was supposed to have thrown is hardly mentioned at all. That story is one of the most famous concerning Martin Luther and so its almost total absence in the biography struck me as strange. It should not be surprising that this book as a point of view. It is very favorable and flattering regarding Martin Luther, and very critical of the Roman Catholic Church as it existed at the time, and even more critical of those leading the church. One of the things that has always amazed me is that Martin Luther was able to stay out of the hands of the Church and the Inquisition, and was never burned at the stake, as was the fate of some of those who preceded him like Jan Hus, John Wycliffe and William Tyndall, although thankfully the latter two had already died before they were burned, Tyndale having been strangled while he was at the stake. The author spends considerable time explaining how and why the political conditions of the time kept Martin Luther alive and well, and that is another reason that I consider this book to be such a good read. 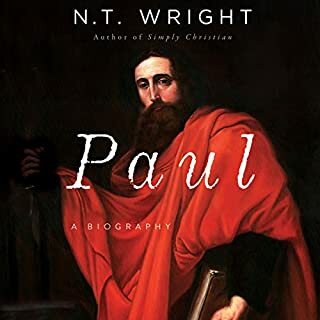 It not only covers the life of the man, but also explains the political environment of the time and the reasons he was able to continue writing as well as the theological basis for what he wrote. 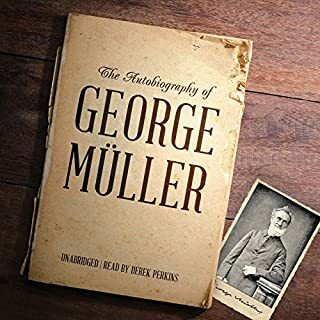 This is simply a great biography. Mr Metaxas reads his own book, and his narration is very effective. 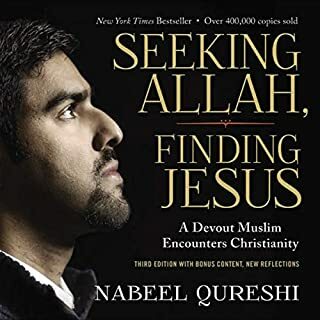 There are times when his reading fails to flow properly, and times when it is noticeably choppy, but overall he does a very good job narrating his own book. 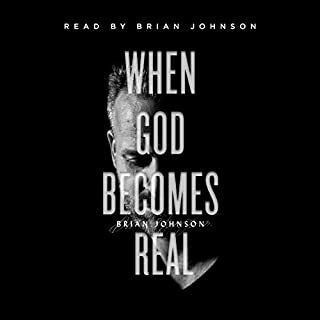 An excellent book, extremely well narrated and full of humor, history, theology and life. 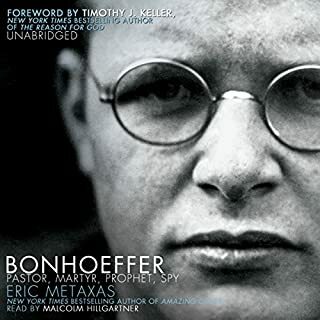 Eric Metaxas has become my favorite author, and so I could hardly wait to listen to this new biography, especially since I knew that the author would be reading it. It has lived up to every hope I had. What a great story. I’ve come away so thankful for Luther’s devotion to bringing God’s Word and opening the door to the freedom that comes through faith in Jesus to ordinary people like me. Thank you, Eric, for this wonderful book. 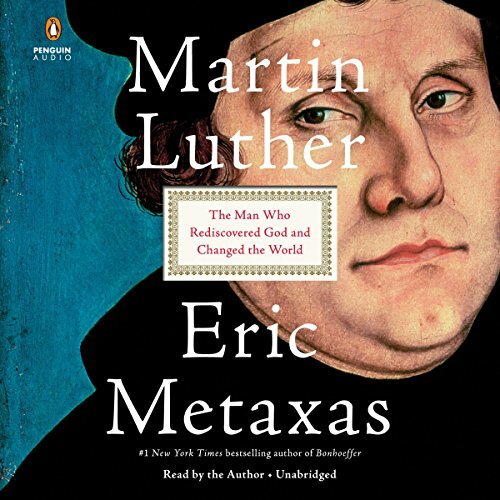 In typical Metaxas style, Martin Luther is an exhaustive look into the life of the great reformer. Luther was clearly a flawed human that sought God through his weakness. He wasn't perfect by any means but certainly changed the course of history. I really liked how the details of Martin Luther’s life were presented. I felt like I was the author’s best friend and he was telling me all the exciting things he has discovered. The author did an excellent job reading the book and it added to the interest of the book. I enjoyed how the author explored how the world has been impacted by Martin Luther. 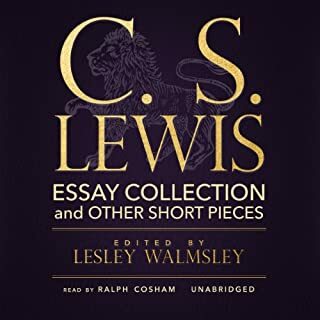 I will definitely listen to it again and may purchase the kindle version, so I can highlight some of the more insightful sections. Thank you Eric for giving us this book, and just in time for the 500 year anniversary of the reformation. Many interesting aspects of the reformer's life and transition from lawyer to monk to rebel. Eye opening. Thorough - it takes in every aspect of his life. Honest - he had his faults and some were big. He didn't always live up to the truth he preached, and, like all of us, was a bit of a contradiction. Inspiring - he was prepared to risk everything and give his all for the truth of the gospel. The most powerful institution on earth would not silence him. Funny - Luther was obviously very witty, which makes Metaxas the perfect man to communicate that. 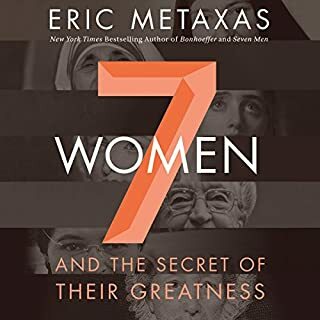 Metaxas has quite a lot of fun with the story, especially Luther's toilet trials and triumphs, the Pope's beloved elephant, and the very strange wedding customs of the time. 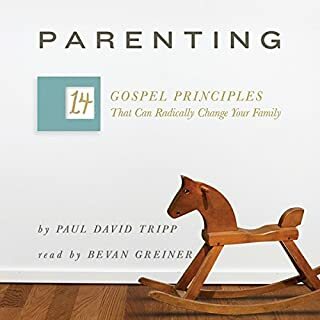 Very happy with this audiobook. The Author reads clearly and passionately. The book is well researched and avoids demonising Luther or simply making a stained glass window out of him! The inspiring Luther comes out clear: his background, ideas and their outcomes comes across very clear. One sees the absolute need for the reformation and nevertheless the real messiness of such a tumultuous but heroic change to Europe. 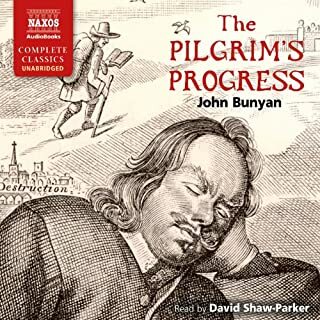 The final chapters offer lessons for today and a reflection on the fruits of the reformation today both for Protestants and even Roman Catholics. The author is fair, not a raging hater of all things papal. So I recommend for inquiring Catholics too. Loved this book! wry humour made me laugh outloud! More importantly, it told the story well including the good and the bad. 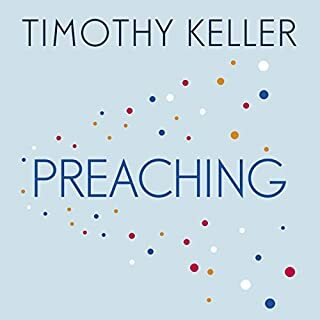 Learning the origins and consequences of the changes Luther started and how he felt about it is highly valuable, regardless of what one may think about him. The author & reader managed to make compelling and easy to follow. A must-have for all history enthusiasts, christian or not.